A school did not always stand on this ground. For nearly a century, the Gorham Manufacturing Company operated an extensive factory on the banks of Mashapaug Pond. Gorham left a complex legacy. While it brought thousands of well-paying jobs to the community, it also polluted the groundwater and soil. In the early 2000s, lawmakers suggested the now-vacant lot be used as a site for a new high school. Outraged residents protested that the site was toxic. With the addition of both a land remediation plan and an air filtration system to the construction blueprints, public opposition slowly subsided. Dr. Jorge Alvarez High School opened in 2006. A school is more than a physical building, it is a community of those who learn and work together. Alvarez High School’s emphasis on community began with the school’s dedication in honor of Dr. Jorge Alvarez, a respected Providence teacher who pioneered innovative English as a Second Language programs. In this spirit, nearly ninety percent of Alvarez students are bilingual, and many are first-generation immigrants. Alvarez High School embraces its role as a local institution, but like many urban school districts, Providence is struggling to provide high quality education for all. Since the early 2010s, Alvarez High School has undertaken several initiatives, including a push toward project-based learning, to creatively address the educational needs of its diverse student body. A school strives for improvement. For Alvarez High School, this is on both an individual and environmental level. Since its opening, Alvarez High School has spearheaded various environmental rehabilitation efforts. In collaboration with the Urban Pond Procession and Environmental Justice League of Rhode Island, students’ scientific research and artistic pieces have been used to educate the community about the history of Mashapaug Pond’s contamination, and to share ways to rebuild the ecosystem. The newest initiative involves the development of outdoor sports fields. A school is a family. In 2013, low test scores, combined with a large increase in the number of younger students in the school system, prompted debate over converting Alvarez High School into a middle school. Community members and students rallied behind the school, and the outpouring of loyalty convinced the district to maintain the site as a high school. As one protesting student’s sign read, “Once an Eagle, always an Eagle.” In less than a decade, the school’s beginnings as a contaminated and protested construction site have been overshadowed by overwhelming community support. What roles do schools play in the community? What should be their role? How is it good to have Alvarez at this site? How is it bad? If you were a lawmaker, would you decide to build a school here? Why or why not? How would you make the decision? 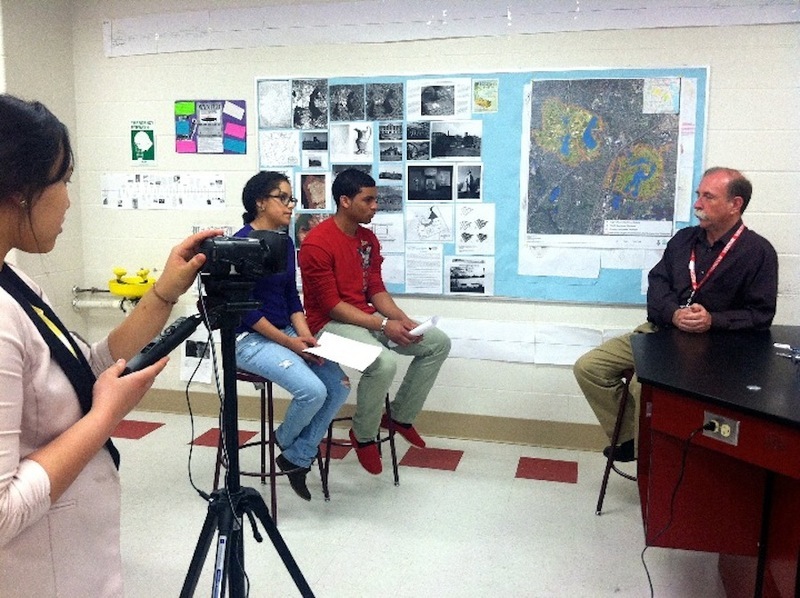 Toxic Legacies: Science students at Alvarez High School filmed "Toxic Legacies," a student-written and produced documentary. Ceramic Mural: In 2013, ceramic artist Deb DeMarco, in cooperation with the Urban Pond Procession, helped Alvarez students to create a tile mural depicting the history of the school site. 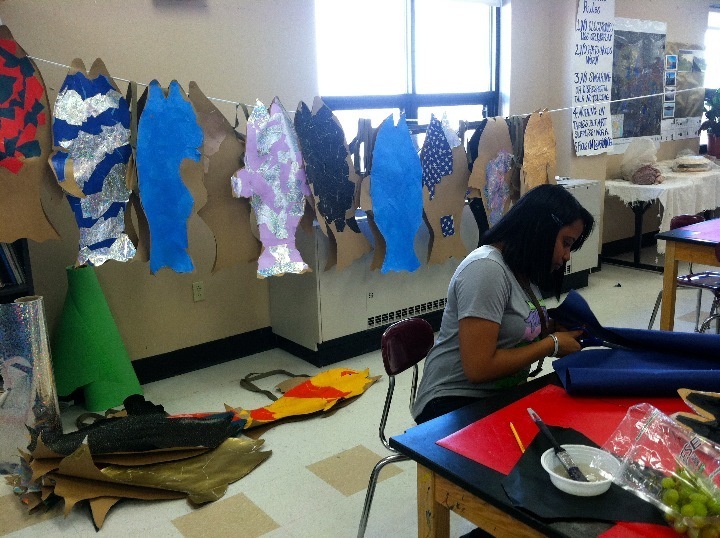 UPP Fish Costumes: Mrs. Capelli's art class helped create fish costumes for the Urban Pond Procession's 2013 spring procession. 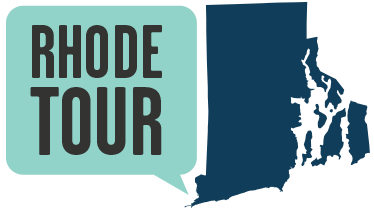 Anna Martin, “Building a School, Building a Community,” Rhode Tour, accessed April 25, 2019, http://www.rhodetour.org/items/show/15. Environmental Justice League of Rhode Island. “Community Action for a Renewed Environment (CARE) Providence Environmental Health Assessment.” http://ejlri.files.wordpress.com/2009/06/care-env-hlth-assessment_full1.pdf. Harrison, Elisabeth. “Students to Protest Closure of Alvarez High School.” Rhode Island NPR. 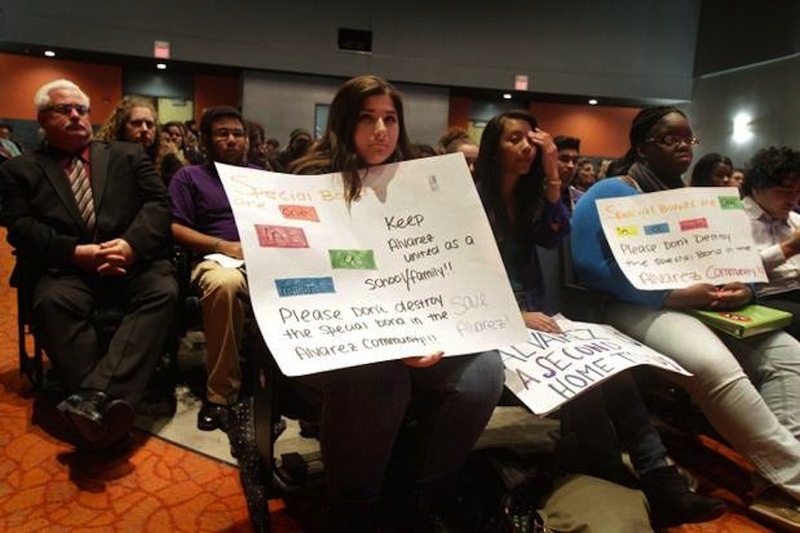 November 12, 2013. http://ripr.org/post/students-protest-closure-alvarez-high-school.